It's easy to understand what's going on with your patents. 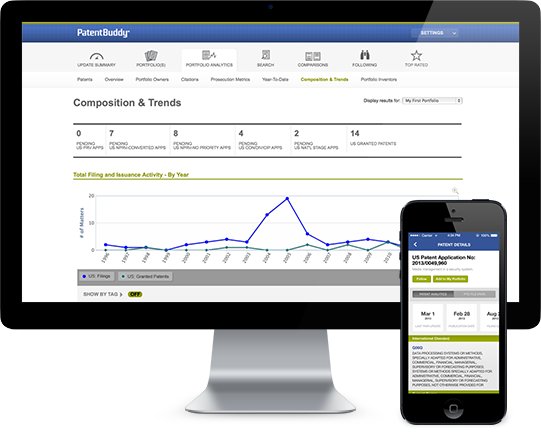 Patent Buddy offers advanced analytics to help you gain insight into patents, patent owners and inventors. Sign up today and discover why over 250,000 people currently use Patent Buddy as a patent analytics resource.